It is time to make the world a better place for everyone by fully supporting those in need of help and improving their living standards of living. This also includes taking care of the wildlife (which co-exist with people) and environment, which plays a critical role in supporting living things. This could not have been achieved much greater without the aid of a highly efficient Solidarity App. This great app has actually transformed the way individual can issue different donations without necessarily giving out funds. An individual can facilitate a contribution to a preferred initiative from a different geographical location with utmost ease. Actually, it just involves getting a new app or game from the Solidarity app platform, trying it out and a contribution will be facilitated from such an activity. It is just as simple as that! Actually, the process involved is pretty simple to understand. 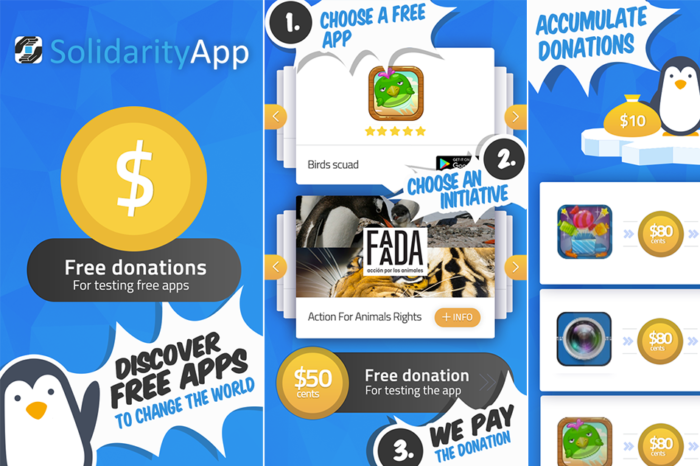 The first thing the user to do is to get the free game or app from the Solidarity App. The user will note that there are quite a number of initiatives that are supported by the app. Once can select the most preferred project where donation should go. The next thing involves downloading the app for free (from the PlayStore). Lastly is trying out the app by either playing the game or enjoying the features available. In relation to the donation, that process is ultimately facilitated by the Solidarity App after the steps have been followed. 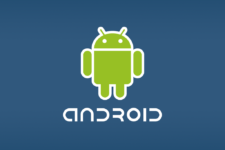 Currently, this amazing app is only well-functioning with Android devices. This includes version 4.0.3 or any new version available in the market. Since its recent update on 29th July, 2016 into version 1.0.4, Solidarity App has exhibited seamless compatibility with these devices, a factor that has led to its improved performance. 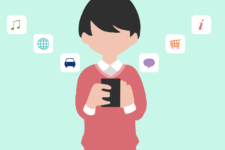 As a user, the app only requires commitment from the users to support different initiatives. There is no need to issue any money; on the other hand, the user is required to try different new apps and games found in Solidarity App, where contribution can be generated from them. How can one achieve this status? It is pretty simple! Apparently, the user can become a star volunteer through downloading and using as many apps as possible from the Solidarity App. The user can proceed to share the experience with friends by inviting them to participate in different initiatives. 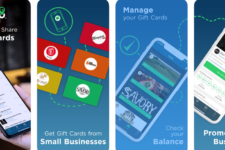 One interesting thing about this amazing app is its ability to reward the user who has participated fully in facilitating different initiatives. There are different prizes offered which include trophies and different badges. This is quite motivating to the users of the apps found in Solidarity App. This great initiative undertaken in Greek aims at recycling the waste products obtained from refugees (like boats and lifejackets). Furthermore, the project helps the refugees to settle well once they have arrived in the country. With the aid of a 90-liter container, the women, children and men found in Sub Saharan region (especially in South Africa) can easily fetch water. This project assist in fetching huge amounts of water once rather than using time-consuming small containers. There has been great awareness in creating a conducive environment for the Dolphins and orcas. This is due to most of them being held captive and undergoing suffering and torture. This initiative has helped international countries to sign an agreement to protect them from such conditions. Children with good education background will absolutely have a promising future. The initiative dubbed as “Robot Café for Children” applies the use of educational robots in Southern Turkey. Such robots are meant to help refugee children from Syria learn for free. This project is deemed to assist the process of taking care of wildlife and other animals all over the world. Its great concern is to ensure that such animals are protected from any harm and they can without being distracted or killed by external forces. A project which came up especially following the Syrian war; it is mainly focused in providing artificial limbs(3D Printed) to those who have been amputated during the war. The initiative also extends to offer assistance to those in rehab centers due to health problems. Meanwhile, the Solidarity app is also planning to add more initiatives soon thus increasing the list of preferences and choices selected by the user. These include those facilitated by the UN and also different charities by organizations and individuals. In summary, Solidarity app has helped bridge the gap when it comes to donations by not necessarily the need to contribute cash directly. Its unique and efficient approach makes it an exceptional app thus making the user to be part of the contributing team. Clearly, it is worth recommendable. Download it now for free at Google Play and start donating! Solidarity app has helped bridge the gap when it comes to donations by not necessarily the need to contribute cash directly.